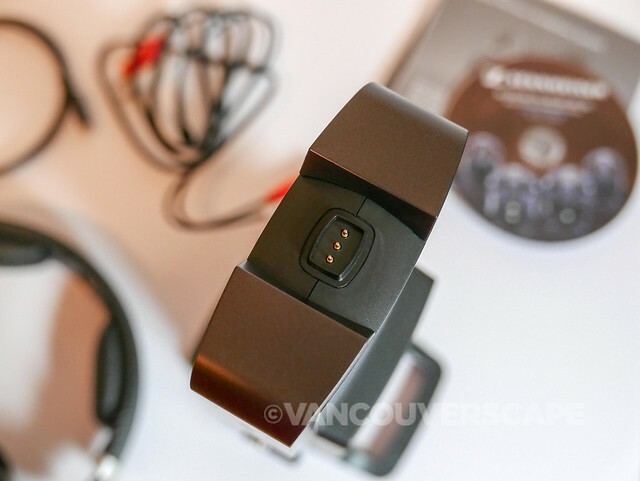 We recently got the Sennheiser RS 185 wireless headphone system sent to our office to test drive. 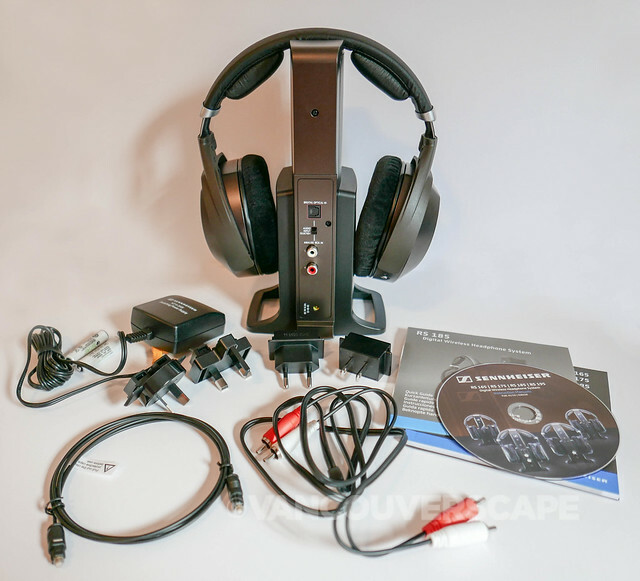 The box contents include headphone, transmitter, optical cable, RCA audio cable, power supply with four adapters (for use in EU, UK, US, Australia), two AAA NiMH rechargeable batteries, a quick start guide and instruction manual on CD. This is a solid, beautifully designed, lightweight system for enjoying wireless dynamic, hi-fidelity Sennheiser sound at home. The open headphones are ergonomically designed and deliver the high quality sound expected from this decades-long leader in audio tech. The headphones have a frequency response of 17-22,000 Hz, a maxiumum sound pressure level of 106 dB at 1kHz, 3% THD, weigh 310 grams/10.9 oz. (with batteries) and will operate up to 18 hours before requiring a full charge. Setting the RS 185 onto its stand sets it charging automatically when not in use. Pretty simple: light on the front glows red when charging, green when fully charged. You can easily control the sensitivity of your analog input via selecting between Automatic Level Control (ALC) mode to even out volume differences automatically or Manual Level Control (MLC) mode to manually adjust the sensitivity. With a carrier frequency from 2.4 to 2.46 GHz, these can be used in a range of up to 100 meters (328 feet)! The headphones offer a warm sound with easily controllable volume/balance via buttons on the headset, including a very useful mute button. 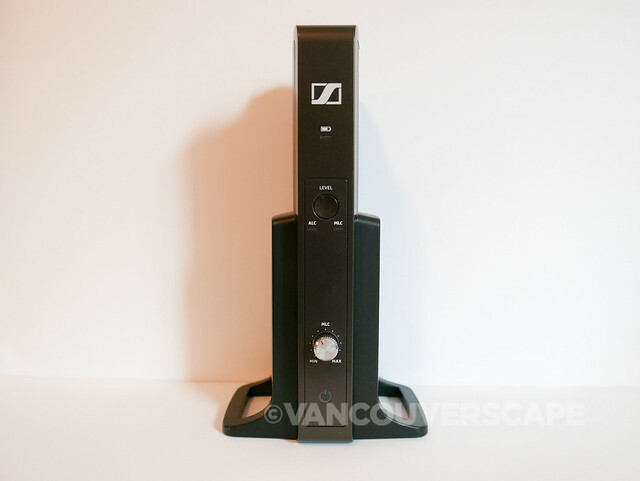 As mentioned above, the stand offers both digital and analog connections so that you can switch between your TV and receiver without much hassle. 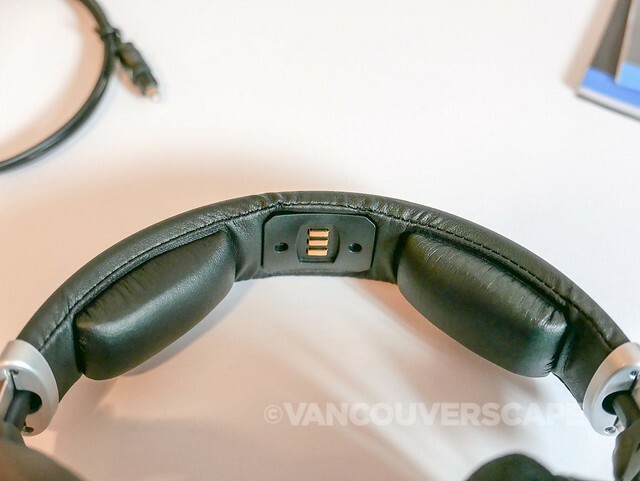 The headphones are easily adjustable and feel very comfortable even after wearing them for awhile. It took us some time to get used to holding the power button for two seconds when powering on or off. Setup from start to finish is super easy. The batteries need to charge overnight before first use. The multi-language quick start guide was a breeze to follow. We love having this system in our office. In space-challenged cities such as Vancouver, this makes life easy for video editing and TV watching while others need to focus on other tasks in the same room. 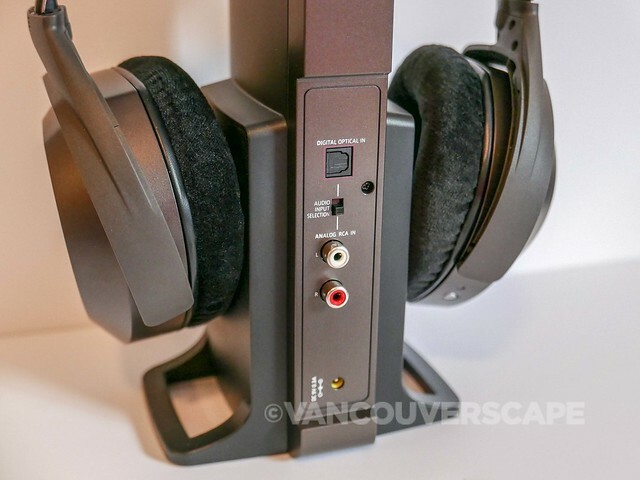 The RS 185 is marketed towards music lovers who enjoy precise sound reproduction in uncompressed digital quality and we’re happy to report that Sennheiser delivers on this promise. 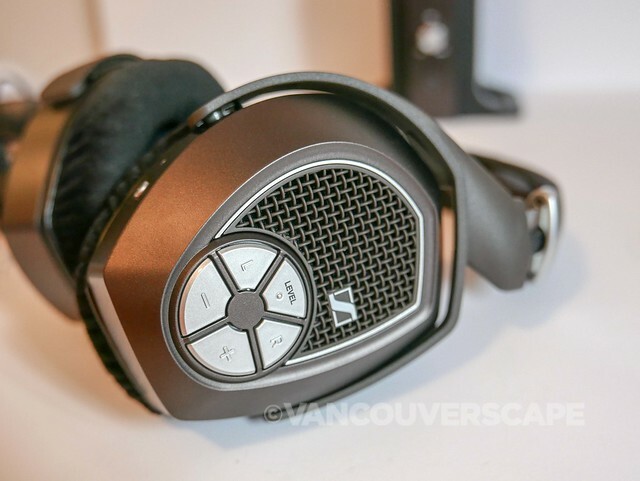 Sennheiser’s RS 185 headphone comes with a two-year warranty and retails for US $399.95/CDN $449.99, available online and at major retailers. Replacement ear cushions are also available. Unwatermarked images courtesy of Sennheiser.